From 2-4 September, PRI in Central Asia held the Central Asian Dialogue on prevention of violence against children and the rights of children in difficult circumstances. While numbers are falling, some 30,000 children are estimated to be held in closed institutions across Kazakhstan, Kyrgyzstan and Tajikistan. Research by PRI carried out in late 2014 found significant levels of ill-treatment of these children, including physical violence. 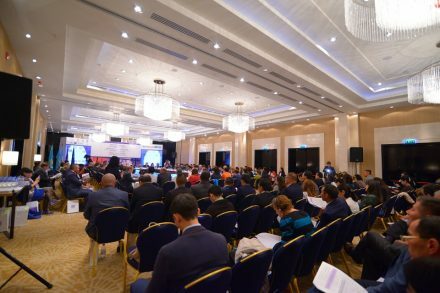 The three-day conference on the issue was organised by Penal Reform International in collaboration with the UN Office of the High Commissioner for Human Rights, the Supreme Court of the Republic of Kazakhstan, the Ministry of Education and Science, the Parliament of Kazakhstan, the Ombudsman’s Office and Know Violence in Childhood. Representatives from five Central Asian countries and international experts from Norway, Czech Republic, India, the United Kingdom and Austria participated in the event, including human rights activists, government officials, representatives from all closed facilities – detention centres, special boarding schools and children’s homes. The Conference also involved Baroness Vivien Stern, a Member of the British House of Lords, and Renate Winter, the Vice-President of the UN Committee on the Rights of the Child. The purpose of the Dialogue, as outlined by Mr. Azamat Shambilov, Regional Director for Penal Reform International in Central Asia, was to provide an opportunity for the exchange of views and visions of the five Central Asian countries, as well as to develop recommendations and a preliminary action plan to protect the rights of children in difficult circumstances. In his welcoming speech, the Chair of the Committee on Legislation and Legal Reform of Majilis of the Republic of Kazakhstan, Rakhmet Mukhashev, said that juvenile justice issues are one of the most important directions of development of Kazakh legislation. During the Central Asian Dialogue, the Ombudsman’s office in Kazakhstan conducted a meeting with the Ombudsman’s offices of Kyrgyzstan and Tajikistan, the Norwegian Ombudsman for Children and Her Majesty’s Chief Inspector of Prisons (UK). The objective of this workshop was to exchange the knowledge and experience on protection of children rights among the national institutions in the region. “Protection of the children rights is one of the priority issues of the Ombudsman’s activity for many years”, said Askar Shakirov, the Ombudsman of Kazakhstan. In his remarks, Her Majesty’s Chief Inspector of Prisons (UK), Nick Hardwick, highlighted the issue of preventing violence against children in detention and briefed colleagues on how the National Preventive Mechanism in the UK sought to address protection of children in closed institutions. The Central Asian Dialogue is part of PRI’s three-country programme to end violence against children in Kazakhstan, Kyrgyzstan and Tajikistan funded by the European Union. Read our new report: Voice of the Child 2014: Findings from a survey of children detained in closed institutions in Kazakhstan, Kyrgyzstan and Tajikistan. This is the first of a series of three Voice of the Child reports tracking the treatment of children in closed institutions in each of the three countries and aims to highlight priority areas for reform for policy-makers, practitioners and other stakeholders.